Demonstrators gather during Masters week demonstrations outside the gates of Augusta National Golf Club in 2003. Overheard on CNN.com: Women in Augusta National? How about men in ladies' room? The Masters Tournament is coming to Georgia's Augusta National Golf Club again, and political psychologist Martha Burk argues that IBM CEO Virginia Rometty should use her company's event sponsorship to influence the club's men-only membership. The story outraged many readers, who said private clubs should not feel obligated to change their rules. Others said women should not be denied access to power plays forged on the course. What do you think? The most-liked comment turned the tables on women. AlCoholic: "Let men into women-only gyms." guest203: "And into the ladies' room. If I tried to use the women's bathroom at a stadium I'd be arrested yet every time I go to the men's room their are women there because the line is shorter. Hey Martha, find a short pier and take a long walk." HJCihak: "Martha, why is it so hard for you to understand? It's a PRIVATE club. They can make their own rules. Just as there's no law that says I have to socialize with you, there's no law that says Augusta men have to allow women into their private sanctum. 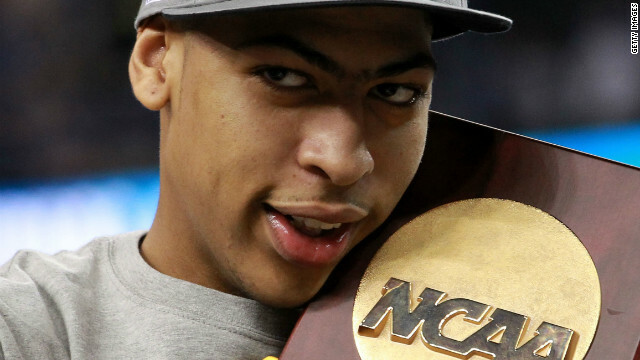 Personally, I think this whole crusade of yours is nothing more than a way for you to grab your 15 minutes of fame. Please, don't go away mad. Just go away." This woman's comment in support of the club's men's only status was also very popular. GSUEagle1982: "I'm a woman, and I personally couldn't care less about getting in there if I were a CEO. I understand the point you're making that business is done on the golf course, but that doesn't negate the fact that business can be done on ANY golf course. Why are you making an issue of something that isn't an issue? I don't understand this. Who cares if they're a men only club? Further, who cares if they're black, white, hispanic, or anything else only? It's a private club, and if they don't want women in there then they're not going to make deals with them in there, regardless of whether they're strong-armed into allowing them or not. I'm all for anti-discrimination, but we're talking a golf club's membership here, not someone's hiring practices!" Multiple tornadoes struck the Dallas-Fort Worth area in Texas early Tuesday afternoon. CNN and its Texas affiliates are updating developments as they come in. Are you there? When it is safe to do so, share your pictures and video via iReport. [Update 3:51 p.m. ET] Lt. Tim Jones of the Johnson County sheriff's department told CNN that "911 is going off the wall with people calling in with reports of sightings." He reported multiple tornado touchdowns across the county, including in the city of Cleburne, south of Fort Worth and southwest of Dallas. A new tornado warning was issued about 2:45 p.m. CT for Arlington, which is between Dallas and Fort Worth. [Update 3:40 p.m. ET] DFW airport spokesman David Magana told CNN that people in the airport's passenger terminals had been herded away from windows in waiting areas. "We have all kinds of shelters. We use all the available space we have including stairwells, store rooms and restrooms, that we can use," Magana said. "We're not shy about moving people around." He advised people to stay away from the airport until all danger had passed. [Update 3:33 p.m. ET] CNN's Ed Lavandera, who was in Dallas when the tornado struck, said there were several isolated cells of storms throughout the area. Lavandara said the track of one tornado would have taken it through a heavily populated area near the stadiums of the Dallas Cowboys and Texas Rangers, as well as Six Flags amusement park. If the storm had stayed on the ground there, it would have caused catastrophic devastation, he said. "We right now are in shelter ourselves," Red Cross spokesperson Anita Foster told CNN. "Some of our teams that are on the southern end of the metroplex have started making plans for how we are going to respond . ... Many people are going to need help." She said Red Cross workers would fan out across the area "as soon as it's safe, as soon as we can get out of our door." Foster warned people to heed warning sirens and seek shelter in interior areas of structures. Dallas-Fort Worth International Airport halted all takeoffs and landings until the storm system ends. CNN meteoroligist said hailstones 3 inches in diameter were being reported. CNN affiliate CBSDFW showed evening-like darkness amid heavy rain at 2:25 p.m. CT.
[Update 3:13 p.m. ET] At 2:05 pm CT (3:05 ET) Tuesday afternoon, trained weather spotters reported a tornado on the ground five miles east of downtown Dallas, Texas. The tornado is moving northeast at 20 mph. [Update 3:09 p.m. ET] After the tornado passed through, CNN affiliate CBSDFW showed dozens of orange Schneider trucks in various states of damage and disarray. CNN affiliate WFAA showed severe damage to some homes in Lancaster, Texas. [Update 2:59 p.m. ET] Separate tornadoes in Texas barreled toward the Dallas-Forth Worth area Tuesday, prompting the National Weather Service to issue tornado emergencies. Video from CNN affiliate WFAA broadcast dramatic footage of the scene, showing truck trailers being lifted and tossed like toys. Ominous clouds filled the skies. There were no immediate reports of major injuries or damage, but CNN's Chad Myers said the worst may be yet to come. "Both storms right now are getting bigger. They both have been rotating, and they both have significant possibilities of damage on the ground heading into DFW," he said. The weather service urged people in the area to move to a bathroom, closet or hallway on the lowest floor of their buildings and take cover. [Original post 2:51 p.m. ET] An apparent tornado ripped through Dallas County, Texas, Tuesday afternoon. A news helicopter from Dallas CNN affiliate WFAA followed a funnel cloud churning through a truck terminal, tossing 80-foot metal cargo trailers hundreds of feet in the air. CNN meteorologist Jacqui Jeras tweeted, "Watching homes being damaged now in Dallas. Large pieces of debris in the air. Lots of power flashes." Check back frequently for updates as this story continues to develop. Law enforcement authorities, including the FBI and the NYPD, are investigating the origins of an online posting that pictured a cityscape of New York with the words "Al Qaeda. Coming Soon Again in New York." The graphic image surfaced Monday on a few jihadist websites, featuring the words in the English, and has prompted officials to investigate who posted it. FBI spokesman J. Peter Donald said that while his agency was investigating, "there is no specific or credible threat to New York at this time." 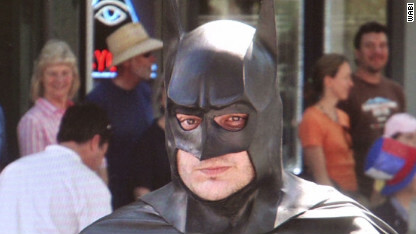 This 'Batman' was arrested in Bar Harbor, Maine. Batman and Spider-Man have loads of fans around the world — just check out your local movie theater and comic book store. But when fans dress up as their favorite characters or try to pull off the same stunts, life doesn’t always imitate art. You’ve Gotta Watch these moments when "superheroes" get into legal trouble. A man from Bar Harbor, Maine, who often dresses up as Batman made an unfortunate April Fools’ Day Facebook post on his Batman page. Hear his explanation of the situation. 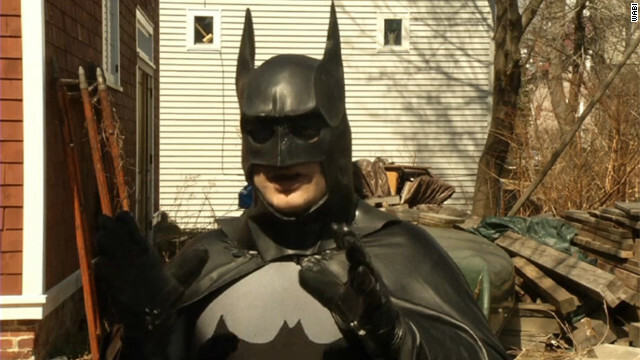 A man from Bar Harbor, Maine, who often dresses up as Batman made an April Fools’ Day Facebook post on his Batman page. He joked about blowing up a hospital, which police didn’t find so funny. Hear his explanation of the situation and how he’s making changes now. This Maryland Batman posted a bat symbol instead of the legal tags on his Lamborghini “Batmobile.” See what police said to each other over the radio. 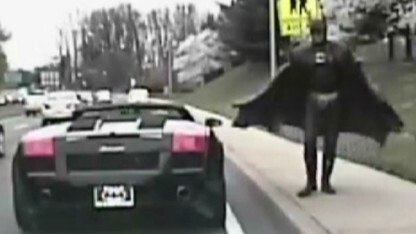 This Maryland Batman posted a bat symbol instead of the legal tags on his Lamborghini “Batmobile.” Police pulled over the man as he was on his way to a hospital to cheer up children in his Batman costume. They seemed to get a kick out of his getup. See what they said to each other over the radio. Alain Robert, the man dubbed the “French Spiderman,” is famous for scaling skyscrapers around the world with no harness. Here you can watch him climb a 57-story tower. Alain Robert, the man dubbed the “French Spiderman,” is famous for scaling skyscrapers around the world with no harness. 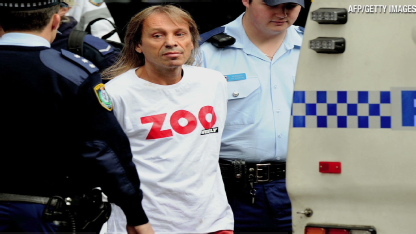 Here you can watch him climb a 57-story tower in Sydney. Unfortunately, the Australian police weren’t amused by the stunt. Fears are growing that a leading human rights activist who entered the 55th day of a hunger strike in Bahrain on Tuesday may not survive the ordeal, his daughter says. Abdulhadi al-Khawaja, who was arrested last year for his role in anti-government demonstrations, has been on hunger strike for nearly eight weeks in protest at his life prison term. His daughter, Maryam al-Khawaja, told CNN he "is entering a critical phase where his life is at stake." She said her father had two doctors accompanying him at all times Monday night and was being moved to a different prison Tuesday which has the necessary medical equipment. The move is due to fears that he may go into a coma at any time, as his blood sugar and blood pressure have both further dropped, she said. A spring storm packing typhoon-strength winds caused two deaths and paralyzed traffic in Japan on Tuesday. In Toyama, strong winds pulled down a barn, killing a man, police there said. In Ishikawa prefecture, an 82-year-old woman died after hitting her head when she fell in strong wind. Japan's meteorological agency predicted a developing low pressure system and front in the Sea of Japan will create strong winds and heavy rain in Japan from Tuesday morning through Wednesday. The agency asked people to avoid potential weather hazards by remaining indoors. Strong gusts and rain hit western Japan in the morning and widened northward throughout the day. A record-breaking wind was recorded in the western city of Tomogashima, at 150 kilometers per hour (94 miles per hour). 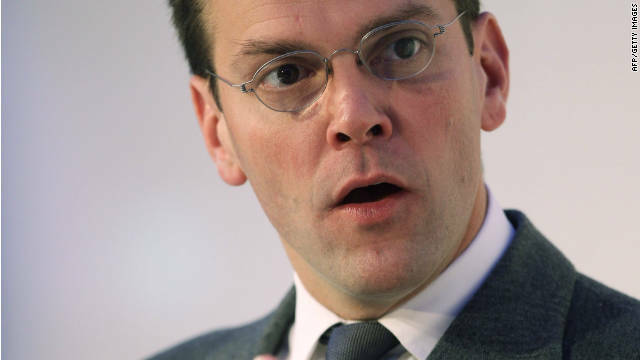 James Murdoch, the son of media magnate Rupert Murdoch, is expected to step down as the chairman of BSkyB on Tuesday, a longtime institutional investor in the British satellite broadcaster told CNN. Sky News, which is owned by BSkyB, also reported that Murdoch was resigning from the post, citing unnamed sources. The move would come on the heels of James Murdoch's resignation from News Corp.'s British newspaper publishing companies in the wake of scandals over the past year. Before the hacking scandal, James Murdoch was widely regarded by media watchers as the heir apparent to his father Rupert's powerful empire - a remarkable turnaround for a college dropout once viewed as the family's black sheep. As its deputy chief operating officer and head of international operations, Murdoch, 38, was the third most senior figure at News Corp., wielding considerable influence through the stable of newspaper titles at his command. Murdoch finally succumbed to the turmoil that threatens to engulf the entire company, even after it stepped away from a controversial bid to acquire full control of its UK-based broadcasting arm, ending for now any possibility of him succeeding his father at the helm of one of the most powerful media empires in the world. Disturbing new details were revealed this morning in the shooting rampage at Oikos University yesterday in Oakland, Calif.
Oakland Police Chief Howard Jordan explains the investigation to Ashleigh Banfield on CNN'S "Early Start" this morning, saying the shooter has been talking with police overnight and has provided more information on what happened. The suspect, 43-year-old One Goh, opened fire at the small religious college allegedly because he was upset at the school for dismissing him. Jordan explains the shooter walked into the school's single-story building on Monday, took a receptionist hostage and went looking for a particular female administrator. Goh wanted to exact revenge on a particular female administrator and inflict harm on the school. The victims were random, and they were unable to resist him because it all happened so quickly.Jordan declined to say the name of the administrator, or if she was on site when the shooting occurred. Jordan said Goh lined up all his victims in a classroom and began shooting them one by one, then left for a short period of time, came back went through other parts of the school just shooting. "He casually walked out and left in one of the victim's vehicles," Jordan added. He also explained that there was a point where Goh had a chance to reload and fire multiple rounds. "He came back into the classroom after he left, went to another location, and began shooting again because he realized that there were other students hiding in the adjacent classroom," Jordan explains. "He began shooting into that classroom again. Then left out the back, not through the same entrance that he came in." He added that though they have not located the weapon, they have enough ballistics evidence to determine it was a semi-automatic handgun. Charges are expected to be filed Wednesday. See the full interview below. The race to the Republican presidential nomination remains up in the air. Watch CNN.com Live for all the latest news and views from the campaign trail. 10:15 am ET - Biden talks college affordability - Vice President Biden and Education Secretary Arne Duncan will pitch federal efforts at keeping college affordable at an event in Norfolk, Virginia. Police had been looking for the missing barista after she disappeared. A body believed to be that of an 18-year-old barista who disappeared in February has been found in a lake north of Anchorage, police in Alaska said. Samantha Koenig was last seen on February 1 being led by a man from the parking lot of the coffee stand where she worked. On Monday, a forensic dive team discovered the body in Matanuska Lake, said Anchorage Police Chief Mark Mew. The medical examiner will conduct an autopsy to confirm the identity. "Although some questions have been answered today, I know those answers offer little consolation to the Koenig family and that many more questions remain," said Mary Rook, the special agent in charge of the investigation. "I know one question both the Koenig family and the people of Anchorage have asked from the outset is, 'Why Samatha?'" Koenig was taken from the Common Grounds Espresso stand, in the parking lot of an Anchorage fitness club, around 8 p.m. on February 1.